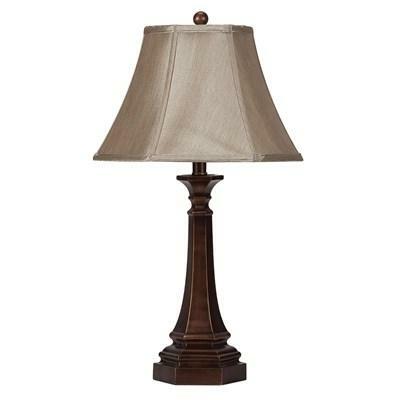 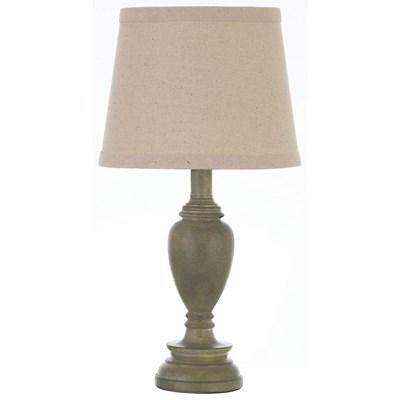 This Table Lamp offers a charming look with its tapered natural linen-like shade and faux wood lamp base. 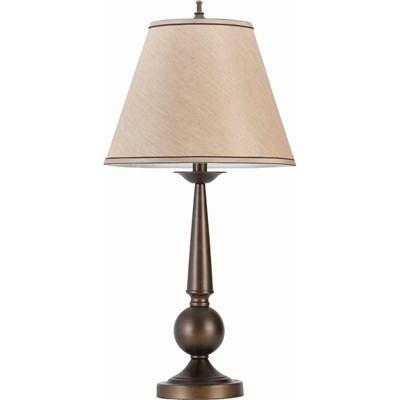 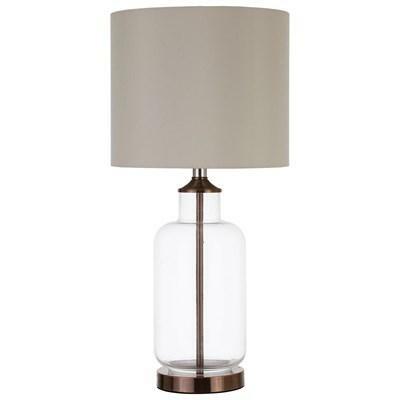 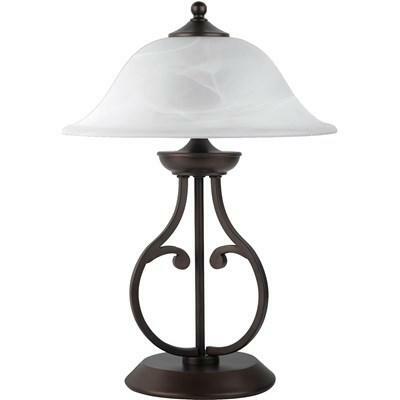 This charming Table Lamp features a creamy white shade and a bronze finish base. 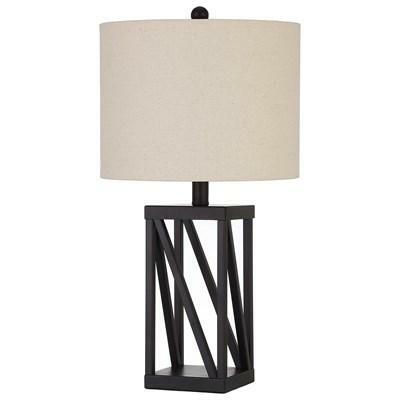 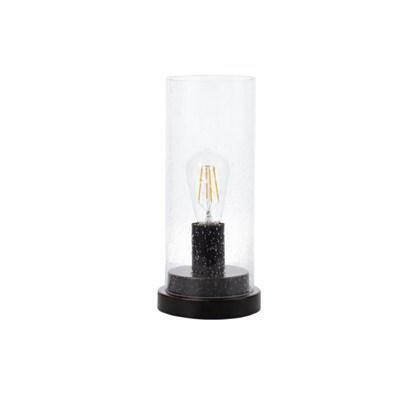 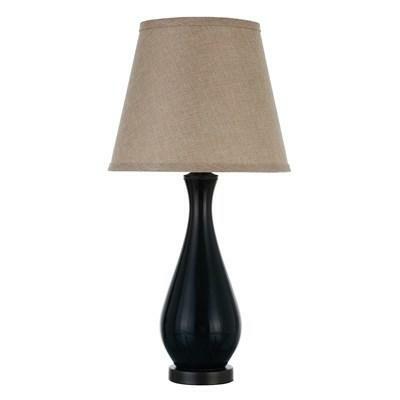 This Table Lamp offers a drum shape linen-like shade and metal base in black finish. 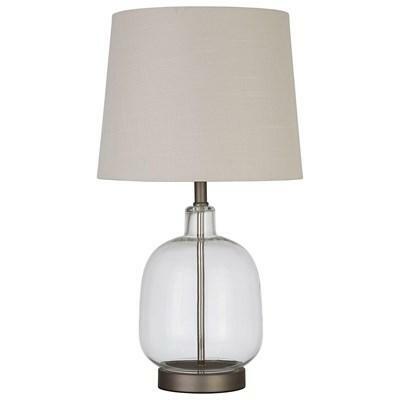 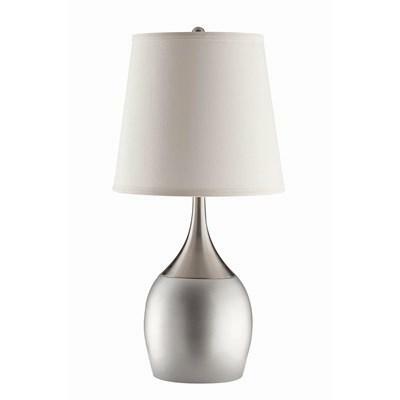 This beautiful Table Lamp features a crisp white shade and a clear glass body. 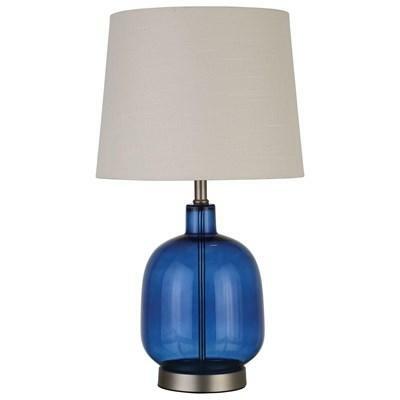 This beautiful Table Lamp features a crisp white shade and a blue glass body. 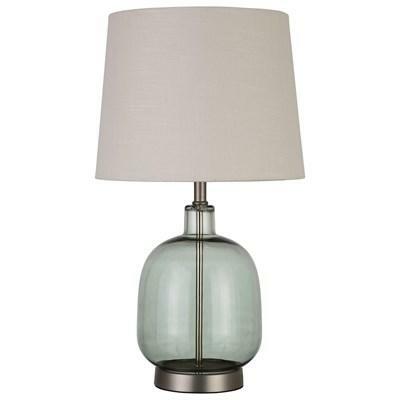 This beautiful Table Lamp features a crisp white shade and a green glass body.